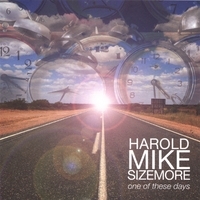 The debut album from Singer/songwriter Harold Mike Sizemore. A three year project that saw him write, produce and play all the instuments. Orders sent by CD Baby. You can also call 1-800-BUY-MY-CD to order by phone. Site that offers a la carte downloads - based in the Latvia.